An elegant Georgian town with excellent amenities, including a good selection of restaurants, cafes, shops and inns. Still active as a port, this attractive Anglicised-Dutch style town is situated at the centre of the rich fenland agricultural and flower-growing industries. Once a near-coastal town, it is now almost 12 miles from the sea, due to the silting-up of The Wash.
Wisbech is rich with resplendent 18th-c architecture, the result of the wealthy merchants who lived here at that time. The best examples can be found along the North and South Brinks, which line either side of the River Nene as it enters the town from the west. In particular, North Brink, which is mainly Dutch in character, is noted as one of the most elegant of all Georgian streets in Britain. Nearby Old Market and Norfolk Street also contain some good Georgian architecture. Relatively unchanged over two centuries, this area has featured in many period TV and film productions. The term Brink is an old Dutch/German word meaning 'edge' or 'slope'. During the Georgian period, the poor and destitute often lived along the river banks, "the brinks", where they would be best-placed to find gainful employment loading/unloading the cargo vessels that regularly docked there. 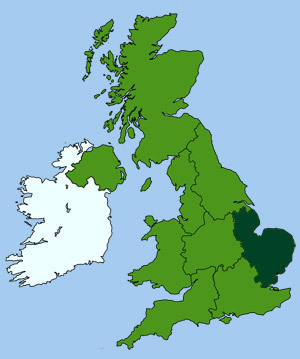 This is thought to have given rise to the old English saying "living on the brink", which has now come to mean someone who is living on the edge of disaster. The town has a number of fine old 17th/18th-c Public Houses, Inns and Taverns, including the White Hart Hotel, which has a fine white facade facing the river on North Brink. It was renamed The Phoenix, following a fire in 2010. Also located in Market Place, The Rose and Crown Hotel (circa 1600), has some fine early Tudor brick barrel-vaults. 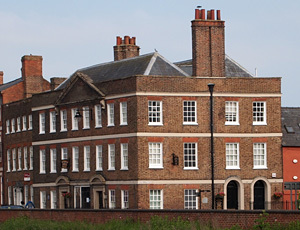 Peckover House on North Brink, originally the home of rich Quaker merchants and bankers, is now in the care of the National Trust (open to the public). A little further along the North Brink is Elgood's Brewery and gardens. A fine Georgian establishment, unchanged for over 200 years. Visitors can sample some of the award winning Elgood Ales or take a turn around the gardens. The Angles Theatre on Alexandra Road, is one of the oldest working Georgian play houses in the country. It has just 112 seats and provides a variety of performances from drama to music and dance. The town has two market places. The 'Old Market', near the river was the original trading centre for local farm produce, with the Corn Exchange and cattle markets close by. The present 'Market Place' developed near the castle. It eventually superseded the Old Market, which was later turned over to Georgian Dwellings during the 17th-c. A traditional daily market is still held here, with specialist markets and regular annual events. The oval road layout, marked by The Crescent, Union Place and Ely place, traces over the outline of what was once a Norman motte-and-bailey castle; constructed under orders of William I in 1072. The castle was replaced by a Bishop's palace in 1478 and later by a mansion built for John Thurloe; Oliver Cromwell's Secretary of State. This was again replaced by the present early 19th-c Regency Villa. The house is open for special events and guided tours. The 68 ft high memorial by Sir George Gilbert Scott, near the town bridge, is dedicated to Thomas Clarkson (1760-1846). A locally born anti-slavery campaigner, whose father was a headmaster of the local grammar school. 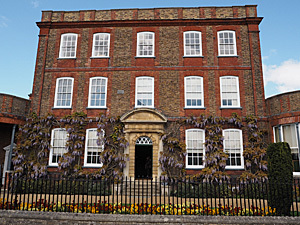 The town has won repeated awards for its parks and gardens, including Wisbech Park and St Peter's Church gardens. It was voted the Best Large Town in the Anglia region in 2014 as part of Anglia in Bloom. St Peter's Church has a lovely one acre award winning garden, located in the centre of the town, with mature trees, attractive bedding displays, rose gardens and a sensory garden. The church has a fine 16th-c tower and a guild chapel. Within it has a collection of royal arms, large brasses and a monument by Joseph Nollekens; a noted 18th-c sculptor. Wisbech Park, just a few minutes walk to the east, has 12 acres of mature trees and open parkland. Play facilities include a children's play area, a bowls green, tennis courts, plus five-a-side football and basketball courts. There are plenty of places to stay in the town including many historic hotels, rural guest houses and delightful self-catering cottages. Local festivals include the Wisbech Rose Fair, held in early July. Visitors can enjoy the beautiful floral arrangements, local produce stalls and musical entertainment. The event culminates in a colourful parade organised by the local Round Table. This classic Georgian brewery, on North Brink, has produced fine traditional ales since 1878. A guided tour explains the brewing process at each of its stages and ends with an opportunity to sample some of the end product. Outside there is a beautiful four acre garden with rare trees, flower beds, herbaceous borders and a maze. Cafe, licenced bar, gift and plant shop. A Grade II listed Georgian house located on South Brink. It tells the interesting story of this forward-thinking Victorian lady who pioneered social housing and modern social care in Britain. She also co-founded the British National Trust. Highlights include a Victorian Chamber of Horrors, an exhibition on the history of social housing and one of Octavia's outdoor retreats in the secret garden. Peckover House (circa 1722) was the home of the Peckovers, a family of Quaker bankers, up until 1943. Although few of the original furnishings exist, it has magnificently carved mantelpieces and some good decorative wood and rococo plasterwork. At the rear there is a large domestic garden containing many rare trees and well planted borders. The fruiting orange trees in the conservatory are reputed to be over 300 years old. 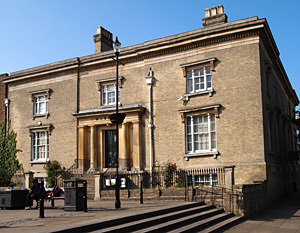 Located in a Grade II Victorian building the museum is one of the oldest purpose-built museums in the country. Its exhibits reveal how the Fens supported rural life for over 6000 years, with collections of Neolithic, Bronze Age and Iron Age artifacts. Plus exhibitions by local artists and craftsmen. It also covers the career of Thomas Clarkson, champion of the anti-slavery movement. Not to be overlooked is the original manuscript for Charles Dicken's 'Great Expectations'. Wisbech became a prosperous port in the 18th and 19th centuries. This historic town trail provides an insight into the people and places that made this possible.